Professional philosophy, not for the first time, finds itself in crisis. When public intellectuals like Stephen Hawking, Lawrence Krauss, Sam Harris, Bill Nye, and Neil deGrasse Tyson (to list some Anglophonic examples) proclaim their support for science, it is through a disavowal of philosophy. When politicians reach for an example within the academy worthy of derision, they often find it in the footnotes to Plato. Bryan Van Norden centres one chapter of Taking Back Philosophy around the anti-intellectual and ungrammatical comment by US politician Marco Rubio that “We need more welders and less philosophers.” Although Rubio later repented, commenting approvingly of Stoicism, the school of thought that has recently been appropriated by Silicon Valley entrepreneurs, the message stuck. As the Stoics would say, we’ve been here before. Richard Feynman, perhaps apocryphally, bowdlerized Barnett Newman’s quip that “aesthetics is to artists what ornithology is to birds,” proclaiming that, “philosophy of science is about as useful to scientists as ornithology is to birds.” A surly philosopher might respond that the views on philosophy of a scientist with no philosophical training is about as useful to philosophy as a bird’s view on ornithology. Or, more charitably, to point out that ornithology is actually quite useful, even if the birds themselves are not interested in it and that birds, sometimes, do benefit from our better understanding of their condition. However, according to some accounts, philosophers within this ivory aviary frequently make themselves unemployed. “Philosophy” historically has referred simply to any body of knowledge or the whole of it. As our understanding of a particular domain grows, and we develop empirical means to study it further, it gets lopped off the philosophical tree and becomes, say, psychology or computer science. While we may quibble with the accuracy of this potted history, it does capture the perspective of many that the discipline of philosophy is especially endangered and perhaps particularly deserving of conservation. Despite this, perhaps those most guilty of charging philosophy with lacking utility have been philosophers themselves either through the pragmatic admonishings of Karl Marx (1888) or Richard Rorty (Kerr and Carter 2016) or through the internecine narcissism of small differences between rival philosophers and schools of thought. This is, in part, the context out of which Jay Garfield and Bryan van Norden wrote an op-ed piece in the New York Times’ Stone column, promoting the inclusion of non-Western philosophy in US departments. Today, the university is under threat on multiple fronts (Crow and Dabars 2015; Heller 2016) and while humanities faculties often take the brunt of the attack, philosophers can feel themselves particularly isolated when departments are threatened with closure or shrunk. Garfield and van Norden’s central contention was that philosophy departments in the US should include more non-Western philosophy both on the faculty and in the curriculum and that if they cannot do this, then they should be renamed departments of Anglo-European philosophy and perhaps be relocated within area studies. The huge interest and discussion around that article prompted van Norden to write this manifesto. 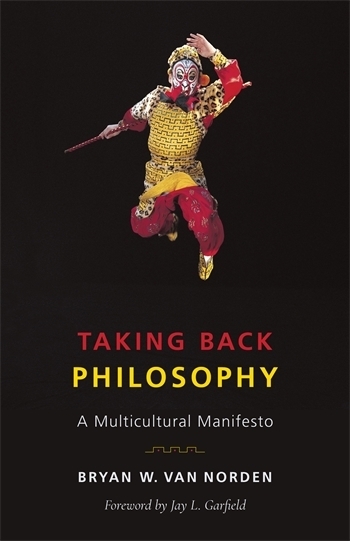 Taking Back Philosophy is peppered with historical examples showing that Chinese philosophy, van Norden’s area of expertise, meets whatever standards one may set for “real philosophy”. Having these examples compiled and clearly stated is of great use to anyone putting forth a similar case and for this alone the book is a worthy addition to one’s library. These examples, piled up liberally one on top of the other, are hard to disagree with and the contrary opinion has a sordid history. [Thailand has] no literature, no painting and hideous interior decoration. Nobody can deny that gambling and golf are the chief pleasures of the rich, and that licentiousness is the main pleasure of them all. Van Norden’s book wrestles, and finds its resonant anger, with these two histories: One in which professional philosophy is isolated, and isolates itself, from the rest of academy and the wider “marketplace of ideas” and one in which sub-altern and non-Western histories and perspectives are marginalized within philosophy. Since this is a journal of social epistemology, I’d like to return to a similar debate from the late 1990s and early 2000s, spearheaded by James Maffie, under the banner of ethno-epistemology. Maffie’s bêtes noires were not primarily institutional so much as conceptual – he thought that epistemological inquiry was hampered by an ignorance of the gamut of epistemological thinking that has taken place outside of the Western world (2001, 2009). Maffie’s concern was primarily with Aztec (Mexicana) philosophy and with indigenous philosophies of the Americas (see also Burkhart 2003) although similar comparative epistemologies have been done by others (e.g. Dasti 2012; Hallen and Sodipo 1986; Hamminga 2005). Broadly, the charge was that epistemology is and has been enthnocentric. It has hidden its own cultural biases within supposedly general claims. Given that knowledge is social, the claim that it is universal across cultures would be in need of weighty justification (Stich 1990). That Dharmottara and Roderick Chisholm derived seemingly similar conclusions from seemingly-similar thought experiments is not quite enough (Kerr 2015, forthcoming). Translation is the elephant in the room being described by several different people. Language changes, of course, as does its meanings. 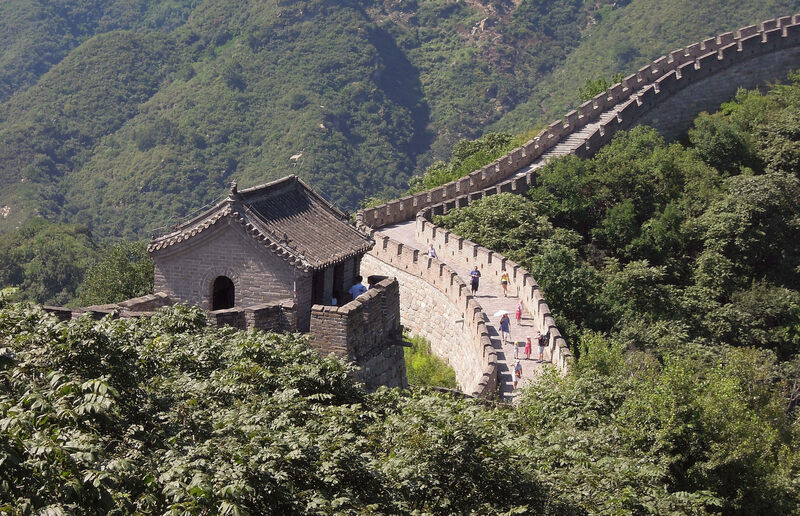 In ancient China, Tao had only the non-metaphorical sense of a road or pathway. It took up the first of its many abstract meanings in the Analects of Confucius. Similarly, in ancient Greece, logos had many non-metaphorical meanings, before Heraclitus gave it a philosophical one (Guthrie, 1961-1982: 1:124-126, 420-434) For epistemology, just take the word ‘know’ as an example. Contemporary philosophy departments in the English-speaking world, or at least epistemologists therein, focus on the English word ‘know’ and draw conclusions from that source. To think that such conclusions would generalize beyond the English-speaking world, sounds parochial. Reading Taking Back Philosophy alongside Maffie’s work is instructive. The borders of philosophy are as subject to history, and boundary work by other scholars, as any other discipline and we should also be aware of the implications of Taking Back Philosophy’s conclusions beyond “professional” philosophy which may extend the proper body of knowledge to so-called “folk epistemologies”. The term “professional philosophy” restricts the object of our attention to a very recent portion of history and to a particular class and identity (Taking Back Philosophy also argues forcefully for the diversification of philosophers as well as philosophies). How do we make sure that the dissident voices, so crucial to the history of philosophy throughout the world, are accorded a proper hearing in this call for pluralism? As can probably be gleaned from the descriptions above, Taking Back Philosophy is also heavily invested in American politics and generally follows a US-centric slant. Within its short frame, Taking Back Philosophy draws in political debates that are live in today’s United States on diversity, identity, graduate pay, and the politicization and neoliberalization of the American model of the university. Many of these issues, no doubt, are functions of globalization but another book, which took back philosophy, from outside of the US would be a useful complement. The final chapter contains an uplifting case for broad-mindedness in academic philosophy. Van Norden describes philosophy as being one of the few humanities disciplines that employ a “hermeneutic of faith” meaning that old texts are read in the hope that one might discover something true as opposed to a “hermeneutic of suspicion” oft-followed in other humanities and social science disciplines which emphasizes the “motives for the composition of a text that are unrelated to its truth or plausibility.” (p139) “[Philosophy is] open to the possibility that other people, including people in very different times and cultures, might know more about these things than we do, or at least they might have views that can enrich our own in some way.” (p139) The problem, he contends, is that the people “in very different times and cultures” are narrowly drawn in today’s departments. Although Taking Back Philosophy ends with the injunction – Let’s discuss it… – one suspects that after the ellipses should be a tired “again” since van Norden, and others, have been arguing the case for some time. Philosophers in Europe were, at different times, more or less fascinated with their non-Western contemporaries, often tracking geopolitical shifts. What is going to make the difference this time? Perhaps the discussion could begin again by taking up his hermeneutic distinction and asking: can we preserve faith while being duly suspicious? Alatas, S.H. 2010. The Myth of the Lazy Native: A Study of the Image of the Malays, Filipinos and Javanese from the 16th to the 20th Century and its Function in the Ideology of Colonial Capitalism. Routledge. Burkhart, B.Y. 2003. What Coyote and Thales can Teach Us: An Outline of American Indian Epistemology. In A. Waters (Ed.) American Indian Thought. Wiley-Blackwell: 15-26. Chen, Kuan-Hsing. 2010. Asia as Method. Duke University Press. Collins, R. 2000. The Sociology of Philosophies: A Global Theory of Intellectual Change. Harvard University Press. Crow, M.M. and W.B. Dabars. 2015. Designing the New American University. Johns Hopkins University Press. Dasti, M.R. 2012. Parasitism and Disjunctivism in Nyaya Epistemology. Philosophy East and West 62(1): 1-15. Fanon, F. 1952 . Black Skin, White Masks, trans. R. Philcox. New York: Grove Press. Goldman, A. 2010. Why Social Epistemology is Real Epistemology. In A. Haddock, A. Millar and D. Pritchard (Eds. ), Social Epistemology. Oxford University Press: 1-29. E.B. Goldstein. 2010. Encyclopedia of Perception. SAGE. Guthrie, W.K.C. 1961 . A History of Greek Philosophy. Cambridge: Cambridge University Press. Hallen, B. and J.O. Sodipo. 1986. Knowledge, Belief, and Witchcraft. London: Ethnographica. Hamminga, B. 2005. Epistemology from the African Point of View. Poznan Studies in the Philosophy of the Sciences and the Humanities 88(1): 57-84. Heller, H. 2016. The Capitalist University: The Transformations of Higher Education in the United States, 1945-2016. Pluto Press. Kerr, E. 2015. Epistemological Experiments in Cross-Cultural Contexts. Asia Research Institute Working Paper Series 223: 1-27. Kerr, E. forthcoming. Cross-Cultural Epistemology. In P. Graham, M. Fricker, D. Henderson, and N. Pedersen (Eds.) Routledge Handbook of Social Epistemology. Kerr, E. and J.A. Carter. 2016. Richard Rorty and Epistemic Normativity. Social Epistemology 30(1): 3-24. Maffie, J. 2001. Alternative Epistemologies and the Value of Truth. Social Epistemology 14: 247-257. Maffie, J. 2009. “‘In the End, We have the Gatling Gun, And they have not:’ Future Prospects for Indigenous Knowledges,” Futures: The Journal of Policy, Planning, and Futures Studies, 41: 53-65. Goldhill, O. “ Marco Rubio Admits he was Wrong… About Philosophy.” Quartz, 30 March 2018. Retrieved from https://qz.com/1241203/marco-rubio-admits-he-was-wrong-about-philosophy/amp/. Philosophy. Online Etymology Dictionary. Retrieved from https://www.etymonline.com/word/philosophy. Garfield, J.L. and B.W. Van Norden. “If Philosophy Won’t Diversity, Let’s Call it What it Really Is.” New York Times, 11 May 2016. Retrieved from https://www.nytimes.com/2016/05/11/opinion/if-philosophy-wont-diversify-lets-call-it-what-it-really-is.html. See, e.g., N. Power. “A Blow to Philosophy, and Minorities.” The Guardian, 29 April 2010. Retrieved from https://www.theguardian.com/commentisfree/2010/apr/29/philosophy-minorities-middleqsex-university-logic. Weinberg, J. “Serious Cuts and Stark Choices at Aberdeen.” Daily Nous, 27 March 2015. Retrieved from http://dailynous.com/2015/03/27/serious-cuts-and-stark-choices-at-aberdeen/. See e.g., Edward Said’s Orientalism (1979), Fritz Fanon’s Black Skin, White Masks (1952) and, more recently, Syed Alatas’ The Myth of the Lazy Native (2010). The reader will recall the parable wherein three blind men describe an elephant through their partial experience (the coarseness and hairiness of the tail or the snakelike trunk) but none of whom describes it accurately (e.g. In Goldstein 2010, p. 492). Several people have had the honour of being called the last to have read everything including Giovanni Pico della Mirandola, who ironically wrote the first printed book to be universally banned by the Catholic Church, and Desiderius Erasmus, after whom a European student exchange programme, facilitating cross-cultural learning is founded. Curiously, Thomas Babington Macauley is said to have been the best-read man of his time and he appears in Jay Garfield’s foreword to TAKING BACK PHILOSOPHY to voice a particularly distasteful and ignorant remark (p. xiv). We can conclude that the privilege of having read widely, or having a wide syllabus, is not enough in itself for greater understanding.